I was sad to read in Wanderlust magazine that the Cuban authorities have banned Reggaeton from public places. I hate sexism and I hate the objectification of women but surely banning music is just going to make it more attractive to people who live in a country full of restrictions on their freedom of expression? 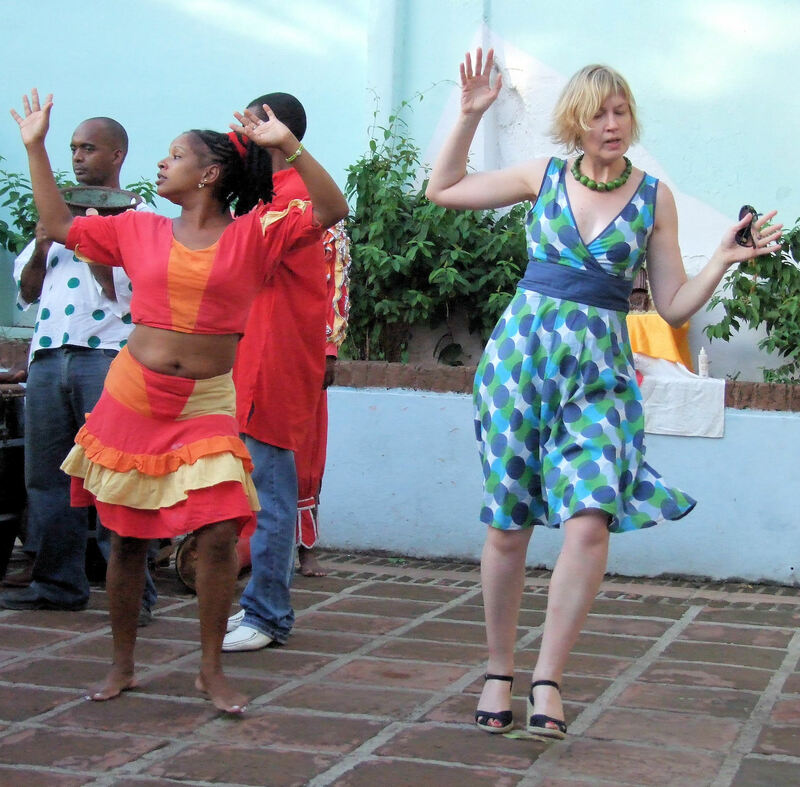 Has anyone had the dubious pleasure of being a non-Cuban trying to dance Reggaeton in Havana, Trinidad or Santiago? It is outrageous but, but, but, but, it’s somehow so full of life that I can’t detest it. Being in a foreign language helps, as clearly I only catch a few of the sexist phrases! 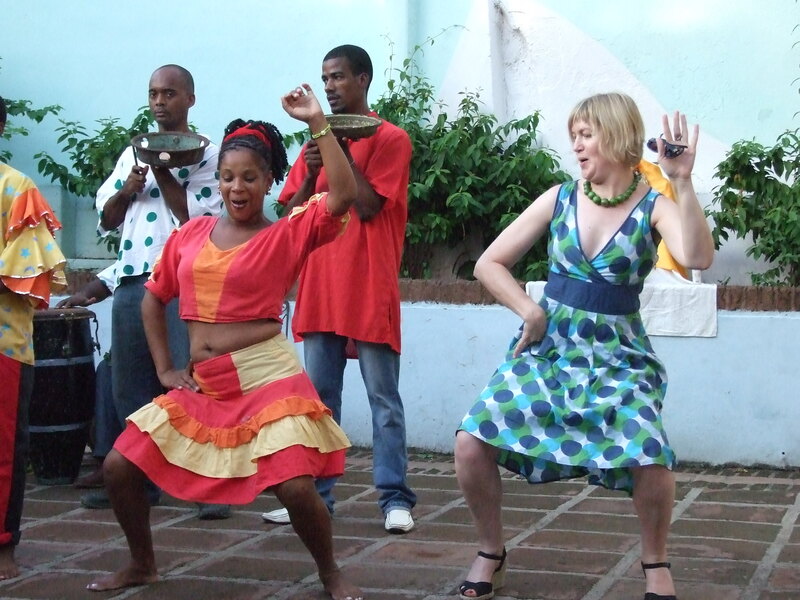 I have many fond memories of trying to dance like Cubans and failing spectacularly that every now and again, I put my Reggaeton compilation CD on loud in the car and think of Cuban friends and the wonderful laughs and late nights I’ve had there. If you want to be horrified by this vulgar music, I can recommend a listen to the likes of Gente de Zone. For something that’s less Reggaeton but has a heavier, funkier beat that salsa, check out Orishas – they’re superb! Hey, I’m not going to claim to be up on the latest, so if anyone can do better, let me know! What does everyone else think? Love Reggaeton? Hate it? p.s. you’ll be glad to know there are NO photos of me dancing Reggaeton, so here’s me dancing in a son show – badly! Moving in the right direction, at least! British knees just don’t DO what Cuban knees do! Unless someone hacks my macbook, *that* photo will never see the light of day again!!! !